MuWave® is a suite of customizable modules designed and developed by UFC, Inc. to work with the Quillix™ Capture and ABBYY FlexiCapture® products in order to reduce or eliminate user intervention in the capture-side workflow and enhance, simplify and improve features not available with these standard products. Read our collateral materials about the UFC MuWave line of products. MuWave Classify / Extract is a Quillix Server Extension module (QSX) which provides automatic classification and extraction functions from a variety of different document types. This solution works by first classifying the document and then once it has determined the document type it extracts critical data from within the document. The system uses three different methods to locate data from a document including a text string, regular expression, or barcode. Search zones can be specified to limit the extraction of data to a particular region of a document. Automatically determine the document type such that the extraction rules can be applied to each of the different document classes. Combined search using a text string, REGEX, or barcode value but applied to a search zone within the document. Eliminates the need for the use of much more costly document capture software when only a few index values are required to be extracted from within a document. Eliminates the need to purchase a per-page or total page count licensed OCR licensed form processing solution. Eliminates the need to add another document capture software application when a customer is already using Quillix Capture. Leverages the intuitive and easy to use indexing screen already familiar to Quillix Web users. Reduces administrative expense because the solution simply plugs into the Quillix capture platform without the requirement to install any other software. Intelligent Character Recognition (ICR) is optional should a need arise to extract handwriting information from a particular zone. The zone is identified using one of the available search techniques for location. This means that the system searches for something like a heading or "labelled field" information and then extracts the handwriting based upon the specified location relative to this field. MuWave Classify / Extract is a software component that plugs into the Quillix Web Document Capture application. This document capture software application has been chosen by many large firms including global energy services company Halliburton. Read the case study about how Halliburton is using Quillix as their global document capture platform. UFC offers an unlimited OCR engine which was designed from the beginning to work with this product. This OCR software application eliminate the need for per-page or total page count licenses of the OCR engine and provides extremely rapid OCR production compared to competitive products. MuWave Unlimited OCR also provides an extremely scalable OCR platform. A full 8 cores of OCR processing power are provided in the standard base level configuration. Imagine paying for an 8 CPU license with a competitve OCR application, and page counts to boot. Find out more about MuWave OCR Unlimited. MuWave® Export is a Quillix™ Server eXtension (QSX) that exports documents to a directory or network share. The filenames for the exported documents may be generated based on any combination of the batch name, index values, or any other information. The document indexes may be exported into text or comma separated value (CSV) files. In addition, advanced operations such as database lookups are available for calculating the index values. Built-in Visual Basic scripting allows more advanced operations to be performed. MuWave Export provides the ability to export Quillix batches and documents to a directory or network share. Images contained in the batches or documents may be converted to multi-page TIFF or even converted to image-only PDF format without the need for a separate PDF module. The batch or document indexes may be exported to either a text or comma separated value (CSV) file and the values exported may be customized using simple pull down menus, or even database lookups. The Microsoft® Windows file security may be set on each document that is exported. 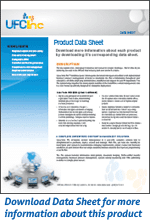 In addition, a database operation may be performed for each document that is exported. This is useful in situations where another system needs to be notified that a document is available for processing. Two version are available. The Pro version includes the functionality to export tabular data from within these types of documents when configured in conjunction with MuWave Forms Pro using the ABBYY Flexicapture Engine. This provides the advanced capability to export tabular type documents to Microsoft Excel. The Lite version includes the basic export functionality described above. MuWave® Forms Pro is a plug-in Quillix™ Server eXtension (QSX) that extends Quillix to include advanced forms processing capabilities. This provides additional automation to the capture process, saving organizations time and money by reducing or eliminating user intervention. This web based solution leverages the powerful capabilities of ABBYY's Flexicapture and FineReader Engine to provide a comprehensive forms processing and document capture software solution. MuWave Forms Pro provides an advanced forms processing software system by harnessing the Quillix Web capture solution with forms processing engines by ABBYY. Advanced features include forms recognition, ICR, OCR, and OMR using either the ABBYY FineReader Engine or the more powerful Flexicapture Engine 10. MuWave Forms Pro also includes the ability to decode 26 different types of barcodes with an accuracy that is unsurpassed in the industry. Other advanced features include a batch preview option that enables incoming batches to be previewed to make sure they are properly organized before assembly. • Include numerous document assembly options such as barcode / patch code. MuWave Forms Pro provides an optional batch analysis capability. This function enables each incoming batch to be previewed instead of being automatically assembled. The batch is reviewed and the barcodes are read. If the configured parameters do not match the requirements, the batch is returned to a queue with information revealed on the first page of the batch telling the user how the batch would be assembled as well as revealing any problems found in the batch. MuWave® Forms is a plug-in Quillix™ Server eXtension (QSX) that extends Quillix to include advanced forms processing capabilities. Automating the capture process saves organizations time and money by limiting or eliminating user intervention. MuWave Forms turns Quillix into an advanced forms processing system. The many features of MuWave Forms include the ability to decode 26 different types of barcodes with an accuracy that is unsurpassed. Other advanced features include a batch preview option that enables incoming batches to be previewed to make sure they are properly organized before assembly. MuWave Forms provides a sophisticated batch analysis function. This function enables each incoming batch to be previewed instead of being automatically assembled. The batch is reviewed and the barcodes are read. Then if the configured parameters do not match the requirements the batch is returned to a queue with an information box drawn onto the first page of the batch. This information box tells the user how the batch would be assembled as well as revealing any problems found in the batch. MuWave® Import is an input source for Quillix™ servers that provides high speed file import capabilities to Quillix. MuWave Import can process images and other files from MFPs and copiers. The images and files are inserted into Quillix batches, where they can be indexed using the metadata index files provided by the MFP or copier. Advanced options enable the scan logon ID for the new batch to be calculated. In addition, outage intervals can be configured to prevent picking up files during certain intervals or when servers are unavailable. Database operations are also supported. MuWave Import can be configured to run as a single batch process, or can be setup to automatically monitor a directory or a UNC path for files or images. The product can be configured to preserve folders in the source folder, to compensate for an outage interval, or to wait a predetermined amount of time before picking up a file. A warning file can be placed into the source folder automatically so that users are notified when their files are going to be collected and disappear from the directory. Advanced features allow for a database operation to be performed each time a file is picked up and submitted to Quillix successfully for processing. MuWave Import can also convert incoming HTML files that have matching image directories into MHT format. MuWave Import preserves the original filename and folder path information so that it can be used to index the documents either up front or later in the capture process. It also provides the capability to index each new batch (or document) as the incoming files are processed. Code 39, Code 2 of 5, Airline 2 of 5, Datalogic 2 of 5, Invert 2 of 5, BCD Matrix, Matrix 2 of 5, Code 32, Codabar 2, Code 93, Code 128, EAN 13, EAN 8, UPC-A, UPC-E, Add-5, UCC/EAN128, and Patch type. MuWave® OCR Unlimited is Quillix™ server extension that provides an efficient means of generating textual information from images. It produces both text and searchable PDF versions from images or PDFs. In addition, a built-in Visual Basic scripting interface allows advanced operations to be completed, such as storing the output files to a network storage device or inserting text into a database. Accepts any image file that Quillix Server supports. This includes TIFF, JPEG, BMP, TARGA, PNG, and PDF files (image only or image and text). Works within any Quillix document or batch level workflow. Unlimited page processing with multithreaded operation up to the licensed limit of cores. Provides unlimited page processing across multiple Quillix servers. No “per click” OCR page costs. Accurate text recognition >99% accuracy for 300 dpi typed text images. Automatic line removal for form-based documents. Advanced enhancement of grayscale and fuzzy images for maximum text extraction. Native PDF processing using Adobe’s own tools. PDF output files are not rendered versions—they are the original files with a text layer added. Option to bypass PDFs that are already searchable for maximum speed. When used with other MuWave products such as MuWave Rendition QSX, capable of processing any file type including Word, Excel, PowerPoint, etc. Custom logging option for generating messages in the Quillix audit log. Built-in Visual Basic scripting for performing advanced operations such as calling custom COM objects. Integration with MuWave Reports and other MuWave modules for a comprehensive capture solution. MuWave® SharePoint® QSX is a Quillix™ Server extension (QSX) module which provides integration with Microsoft® SharePoint. It is easy to install and configure, yet is extremely flexible enough to provide complete control of document storage. metadata settings, and document naming. 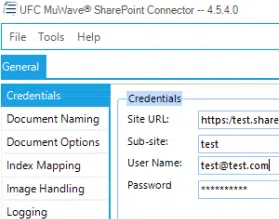 MuWave QSX for SharePoint provides the following features in order to get your documents into SharePoint Server in the most efficient manner possible. Advanced options and configuration through use of UFC's MuWave Script. MuWave® SharePoint QSX is quickly and easily installed on a running Quillix server, and requires minimal configuration before it is production ready. It also provides options for expanded logging for testing or diagnostic purposes, as well the ability to backup, migrate or restore configuration by importing/exporting the configuration to an INI file. Contact us to find out more today. Leveraging the Quillix Server Extension (QSX®) architecture, the MuWave Suite delivers fully pluggable processing modules for both Quillix Capture and ABBYY FlexiCapture solutions, while extending out to other applications such as Laserfiche®, PaperVision®, Documentum®, Microsoft SharePoint® and FileNet®. QSX and the MuWave modules work cooperatively as an independent rules engine - managing specific processing tasks and determining multiple outcomes for work case routing, indexing, exception handling and release to name a few. These modules are often used at the end of the capture process, where they automatically handle tasks, such as the release of captured information to downstream document management systems, other workflow tasks, or data repositories. Read about the MuWave QSX modules at UFC to find out how to extend your Quilix document capture system. Quillix® Data Capture is a distributed document capture software and process management system that streamlines the process of acquiring and creating documents. Its innovative Web Client provides scanning, importing, and indexing of documents easily from anywhere around the world. With Quillix® Capture, an organization can capture documents easily from anywhere around the world and index large volumes of documents securely and efficiently. Quillix allows the automation of complex capture and indexing tasks using a unique graphical workflow tool, not a static list of workflow events as in competitive systems. Quillix document capture software will import and process email (including attachments), faxes and watched network folders, or FTP sites. It can then convert email attachments to image format for archival in a content management system. Finally, Quillix ensure corporate compliance by managing and monitoring incoming documents while easily integrating with third-party and legacy systems. Quillix® is a powerful, completely web-based document capture and document processing solution. It offers advanced features for your enterprise and is as easy as launching a web browser. The optional forms processing module features utilize the very latest technologies from our vendors including ABBYY FlexiCapture® and FineReader® Engines. The thin client works on any browser and uses HTML 5 technology without the requirement for ActiveX as in previous versions. Quillix® scanning software is a distributed document capture software and process management system that streamlines the process of acquiring and creating documents. Its innovative Web Client provides scanning, importing and indexing of documents easily from anywhere around the world. With Quillix® Capture, an organization can capture documents easily from anywhere around the world and index large volumes of documents securely and efficiently. Quillix allows the automation of complex capture and indexing tasks using a unique graphical workflow tool, not a static list of workflow events as in competitive systems. Quillix document capture software will import and process email (including attachments), faxes and watched network folders or FTP sites. It can then convert email attachments to image format for archival in a content management system. Finally, Quillix ensure corporate compliance by managing and monitoring incoming documents while easily integrating with third-party and legacy systems. Find out more about Quillix Web document capture software at UFC, Inc. Learn about the advanced features of Quillix Web Capture including an industry leading graphical workflow in the administration console.